With rising interest rates you may be wondering if you’ve missed the window where it’s beneficial to refinance. The good news is it still might make sense for some homeowners. In fact, as of January 2018 the Mortgage Bankers Association reports that about half of mortgage applications are refinances. If you have an adjustable rate mortgage (ARM) that started out at a low interest rate, it’s likely going to increase as interest rates rise. Refinancing to a fixed-rate mortgage might mean a higher interest rate than your ARM right now, but it can save you thousands over the long term. Typically, loans with shorter terms have lower interest rates. If you can afford a higher monthly payment, you could save tens of thousands in interest over the course of the loan. If you can swing a higher monthly payment and you’re planning to stay in your home for the long haul, refinancing may be right for you. If you have a lot of equity in your house (20% is usually the magic number) a cash-out refinance might help you streamline your finances. A cash-out means you get a new loan on your home for more than you owe. For example, if you owe $100,000 on your home, you might refinance for $150,000. You can use the cash to pay off high-interest loans or credit cards, or for home improvements. You’ll still get a historically low interest rate this year. If your lender won’t drop PMI, you may be able to eliminate it by refinancing. If your equity has increased enough, refinancing will eliminate PMI. The trick is to ensure that closing costs will be less than what PMI will cost you until it reaches its natural end. Interest rates are still at historic lows, and it’s likely they’ll remain there through 2018. 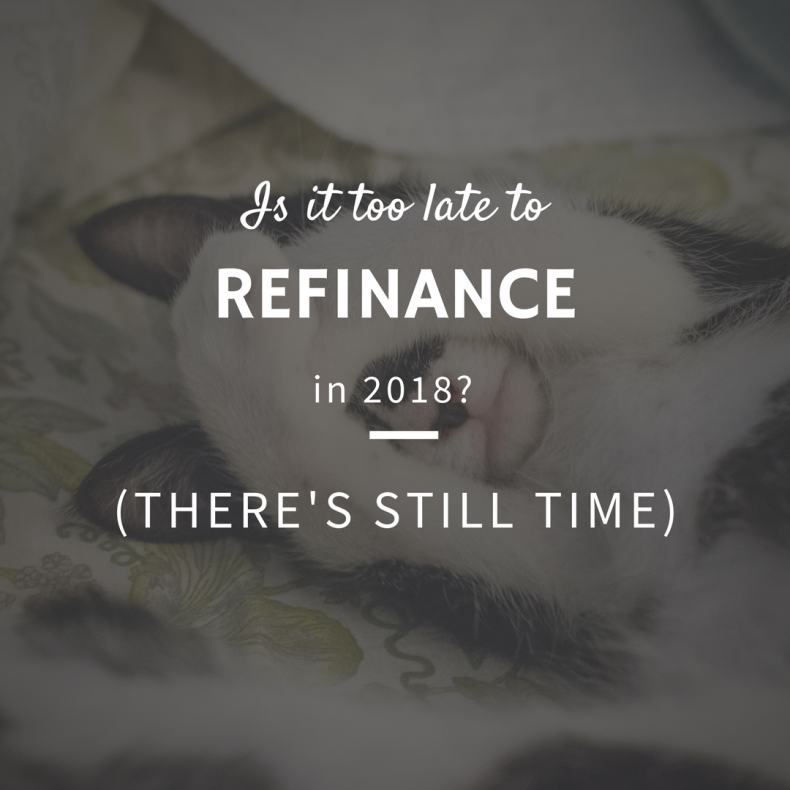 Talk with your lender about refinancing options early and you could save yourself thousands in the future.